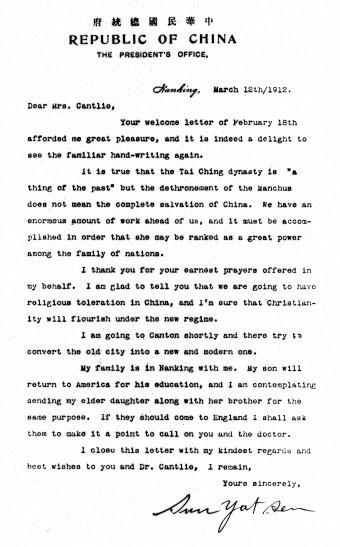 In March 1912 the provisional president of the newly created Republic of China, Sun Yat-sen, sent this letter to Mrs Mabel Cantlie, wife of the British tropical medicine specialist Dr James Cantlie. In it he surveys the enormous challenge the young republic faced less than three months into its existence. In fact Dr Sun was to play little further part in the immediate consolidation of the Chinese republic, as by the following year he was on the run from the military government of General Yuan Shikai, Sun’s successor as president, and self-appointed ‘Great Emperor of China’. 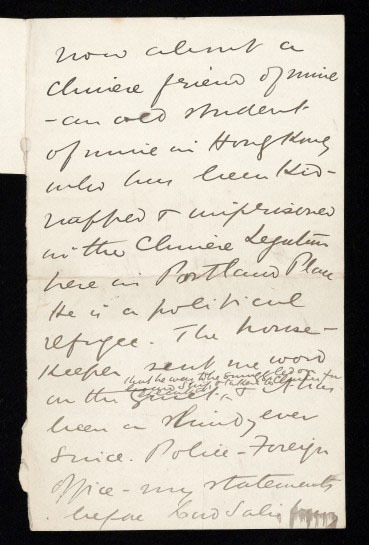 Letter from Sun Yat Sen to Dr. James Cantlie’s wife. MS.7934. 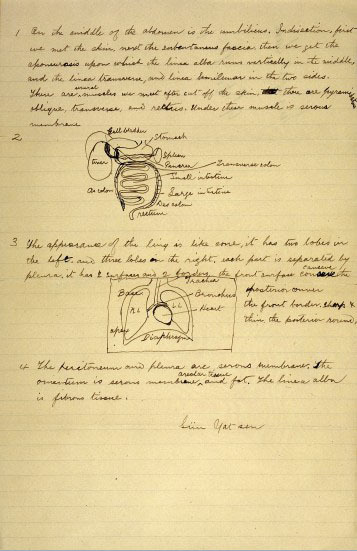 Dr James Cantlie (1851-1926), an Aberdeen trained physician, went to Hong Kong in 1887 at the invitation of Patrick Manson, whose medical practice he inherited. One of his earliest achievements was to assist Manson in establishing a medical training college for native students, one of the first of whom was the future president of China. After graduating Sun Yat-sen remained in contact with the Cantlies, periodically appealing to the British government and public for support for democratic China through their good offices. 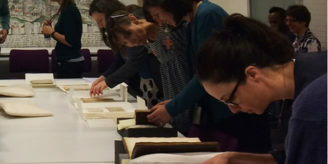 The record of this involvement is reflected in Cantlie’s papers which were later donated to the Wellcome Library by his descendants. Sun Yat Sen examination paper, 1887. Ms.2934. 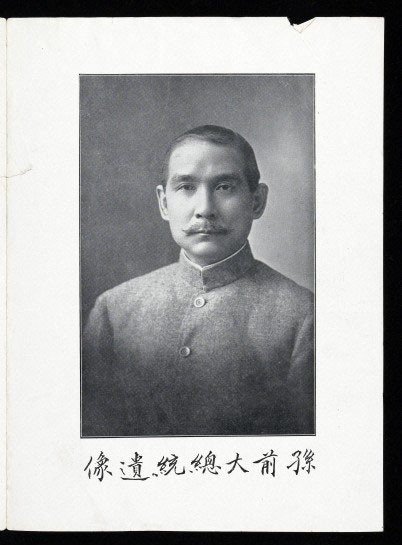 Sun Yat-sen was already a well-known revolutionary agitator as a student, although still an assiduous enough scholar to graduate top of his class in 1892. In 1895 he was part of small group of revolutionaries who planned to engineer an uprising in Guangzhou (Canton), only for their plot to be betrayed. Not for the last time Sun found himself a wanted man, escaping via Hong Kong to the United States, pursued by a banning order from the Hong Kong authorities. When the Cantlies returned to London the following year Sun Yat-sen moved to England, partly to benefit from the help and protection of his mentor. This was soon called in aid when Sun was kidnapped and imprisoned in the Chinese legation on Portland Place. Sun Yat Sen’s imprisonment. MS.7937/13. A high profile campaign in government and press was orchestrated by Cantlie to secure Sun’s release. The episode marked a turning point in Sun Yat-sen’s career, as it turned him into a celebrity, much in demand on the British lecture circuit, as this show card suggests. His popularity in the UK was not reflected in Hong Kong, where the colonial authorities, anxious to maintain good relations with Imperial China, continued to warn Sun to stay away. During the first decade of the twentieth century Sun Yat-sen was based mainly in Japan, one of the main centres of expatriate Chinese revolutionary activity, and Hawaii. There is little evidence of his activities during this period in Cantlie’s papers. In Tokyo Sun founded the party later known as the Kuomintang – the first political party of republican China. When a general insurrection spread across China during 1911 the Kuomintang was able to take power in Guangzhou in a bloodless coup in November. 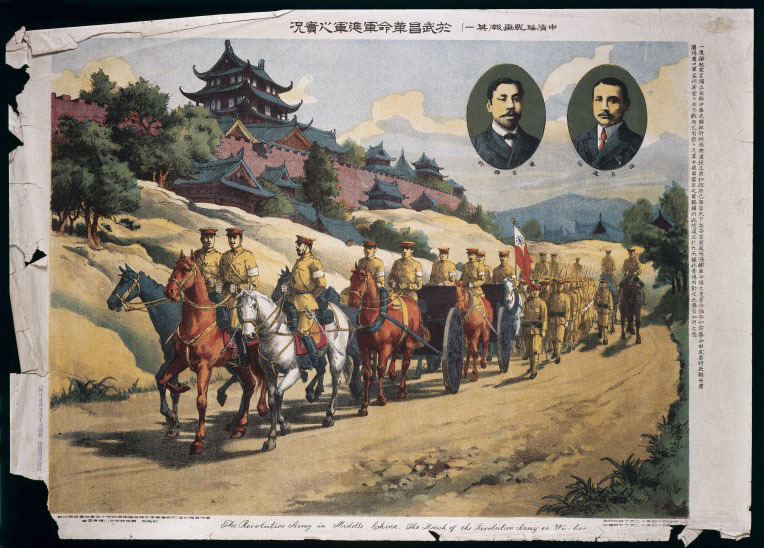 The march of the revolutionary army on Wuhan. Wellcome Images No. L0040008. Following events at a distance Cantlie was moved to upbraid The Times’s correspondent in Beijing, who was slow to comprehend the revolutionary moment. Sun himself arrived in Shanghai on the 25th of December, setting foot in his homeland for the first time in sixteen years. He was elected provisional president four days later – so, one hundred years ago to this day – and sworn in on New Year’s Day 1912. Sun Yat-sen, aware that he and his party had ridden to power on the coat tails of a military uprising, ceded the presidency to the military strongman Yuan Shikai, pending elections. When held in late 1912 these returned the Kuomintang as the largest party. 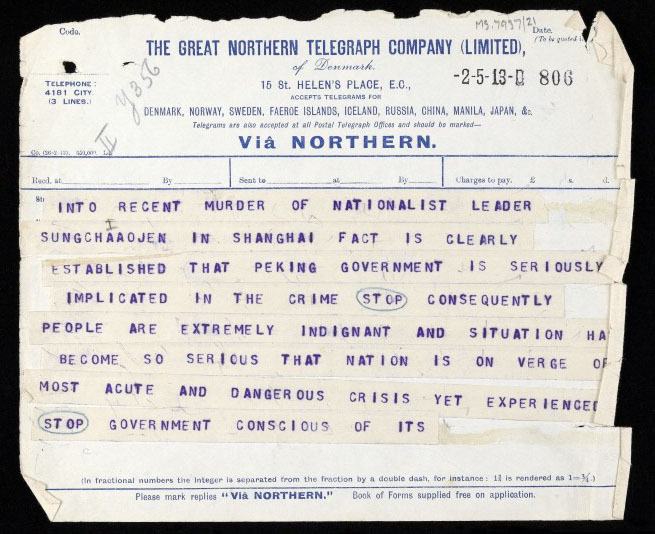 Relations between the autocratic Yuan and his democratic opponents deteriorated rapidly; the parliamentary leader of the Kuomintang was assassinated at Shanghai railway station on Yuan’s orders in March 1913, one of the events that precipitated a lengthy, despairing telegram from Sun to Cantlie that was circulated in the press, and which is preserved in his papers. 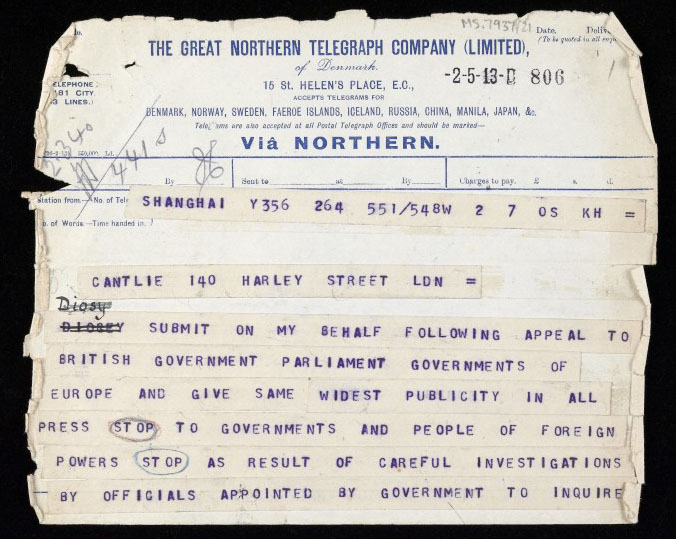 Telegram from Sun Yat Sen. MS.7937/21. By late 1913 Sun Yat-sen was again on the run, his party proscribed by Yuan. Sun Yat-sen’s political career was far from over but the Cantlies had played their part. Their intervention to free him from the Chinese Legation in 1896 had no doubt saved his life. 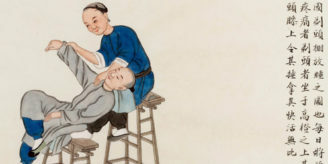 For this reason both Cantlie and London hold an honoured place in the foundation mythology of modern China, and during this centenary year the papers documenting Sun’s connection with his old tutor have been much in demand. They died within barely a year of each other, two lives that came together to change the world. 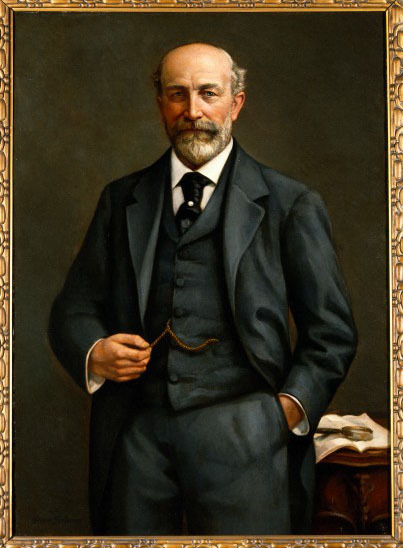 Sir James Cantlie (1851-1926), writer on tropical medicine.